Briefs are a combination of legal reasoning and good story-telling. It is very important to be able to construct a persuasive legal argument in support of a client s case while telling the client s story. The aim of every brief is always the same: to persuade. This means that there are fundamentals that must be adhered to in order to create a good brief, and big mistakes must be avoided. The book can utilized as an outline or a refresher for any type of brief that must be written, whether it s a main brief, reply brief, or sur-reply, and whether it s a lower court or appellate brief. A Brief Guide to Brief Writing will enable brief writers to understand and tell the client s story, in a persuasive and effective manner." A standard-setter in American legal education, Writing and Analysis in the Law provides a guide to legal writing, focusing on the importance of clear organization in written communications. Developed as a textbook for a first-year law school course, the book introduces law students to analyzing and writing about legal authority in cases and statutes. 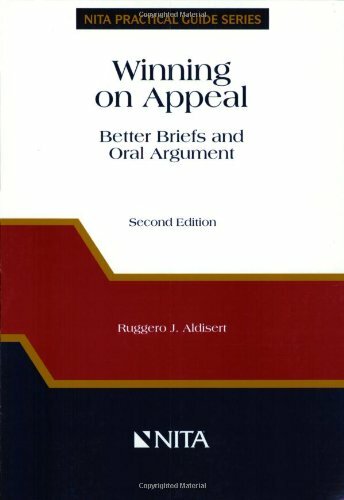 It discusses the structure and persuasive techniques of effective argumentation. The book makes effective use of high-quality and illustrative examples and writing exercises. It also includes access to helpful PowerPoint slides for use in the classroom and class preparation. Lucid, compact, and up-to-date, this work consistently draws acclaim in law schools across the country. The sixth edition has been streamlined and designed to be reader friendly: it uses white space, bullet points, tabulation, and headings that chunk information to enable student to grasp information efficiently. A searchable archive of SCOTUS audio, going back decades. CourtListener is a free legal research website containing millions of legal opinions and over 12,000 oral arguments from federal and state courts. In this eminently browsable book, Bryan A. Garner has collected and arranged the most important, interesting, and penetrating statements from judges and lawyers about how to conduct an oral argument. Each didactic principle is stated, briefly explained, and then illustrated with quotations from a dazzling array of sources, ancient and modern. Novices and veterans alike will find helpful advice in these pages, which systematically explain the subtleties of the art more lucidly than any previous work has done. This book is designed to introduce and cover its subject in a simple and entertaining, yet comprehensive, way.It contains chapters on such topics as style, substance,structure, questions, and rebuttal to explain effectiveapproaches to this peculiar form of conversation. A starting point for federal court websites to find their local rules. A starting point for state court websites to find their local rules.